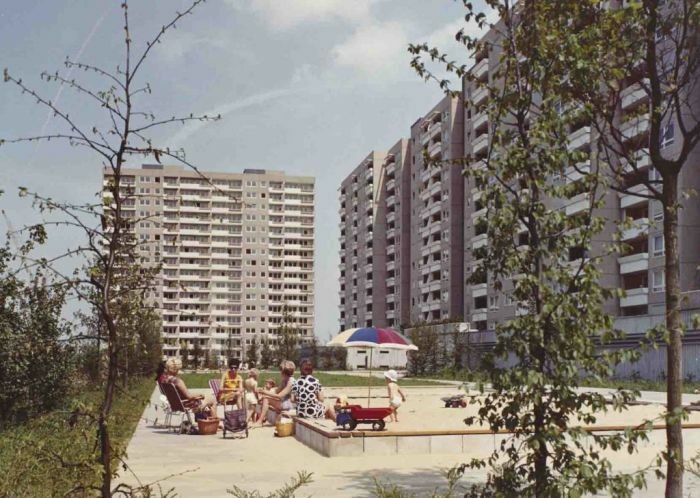 An exhibition about German high-rise housing estates with the subtitle “A Social Democratic Utopia and Its Buildings” could lead one to the conclusion it was about East Germany. Wrong! Established in Hamburg in the early 1950s Neue Heimat was a housing corporation operated under the auspices of the the West German Trades Union Confederation, and who in addition to building over 400,000 flats in city’s as diverse as, and amongst many others, Bremen, Darmstadt, Kiel, or Regensburg also developed numerous public and commercial projects including ICC Berlin, CCH Hamburg or the University Hospital Clinic in Aachen. Until in the mid-1980s a financial scandal saw the institution dissolved and divided into a number of regional corporations. Thirty years after the demise of Neue Heimat the Architekturmuseum der TU München, the Hamburgischen Architekturarchiv and the Museum für Hamburgische Geschichte aim not only to tell the story of the institution, and the some 700 architects and urban planners with whom the Neue Heimat cooperated, including Ernst May, who following his stints in Moscow and Frankfurt was employed from 1954 as head planner, but also reflect on the relevance of that which Neue Heimat realised, for all the large high-rise housing estates, in context of our contemporary urban housing realities. 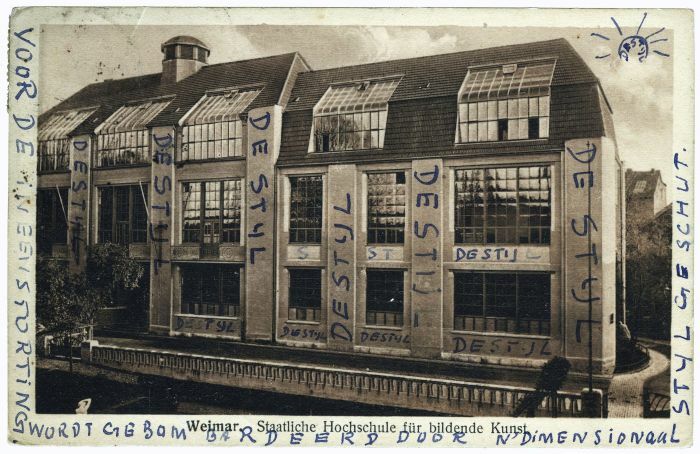 Among the many influences on Bauhaus arguably one of the most direct, and most pertinent, was that which came from Holland, and not just through groups such as De Stijl but also individuals such as HP Berlage, J.J.P. Oud or Gerrit Rietveld. And equally important for the development of art and design in Holland, that which flowed to it from Weimar and Dessau. Promising a presentation of some 800 objects and some 60+ creatives as, if you will, conduits via which to explore the connections, exchanges and mutual influences, that existed between Bauhaus and the Netherlands in general, but also with a specific focus on Rotterdam’s links with Bauhaus, netherlands ⇄ bauhaus sounds likes it should allow not only for a fulsome review of the subject in hand but should also help significantly broaden the current discussions around Bauhaus and the evolutions in arts, architecture and design in the inter-War years. We once bought a three year old of our acquaintance a baseball cap. It had a shark on the front. We thought great, she loves sharks. Upon giving it to her we were greeted with a half scowl. The cap was blue. Which, we were informed, was a “boy’s colour”. And subsequently spent the rest of the day explaining to her the fallacy of such a notion. Or at least trying to. The three year old in question isn’t/wasn’t being raised in a particularly strong gender coded household; is however growing up in a very gender coded world, in a world where even goods which all logic tells you must be gender neutral, invariably aren’t. 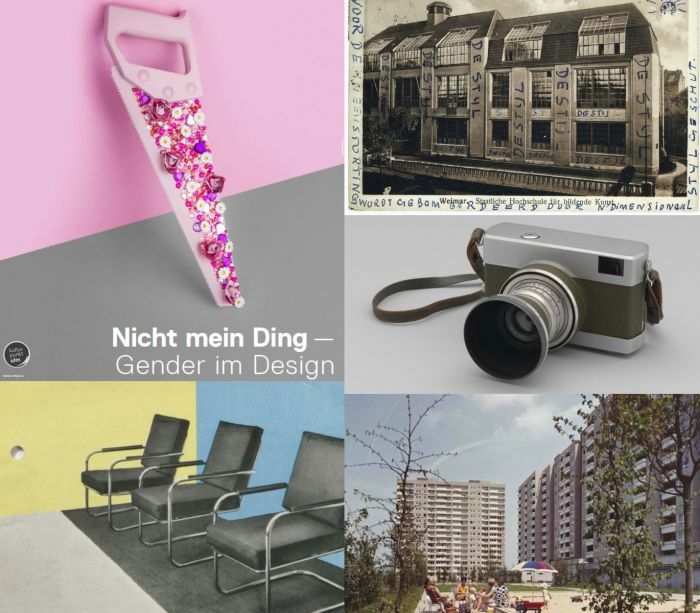 With the exhibition Not my Thing the HfG Archiv Ulm seek to explore gender in design from both historic perspectives as exemplified by works from the 1950s and 60s realised at the former HfG Ulm, and also contemporary considerations, including those from 2018 Ulm Designer in Residence stipendee Olivia Daigneault Deschênes and students at Aicher-Scholl-Kolleg and Realschule Dornstadt; and which, one would imagine, hope?, will take the discussion away from the male/female context of the 50/60s to our own gender fluid days, and beyond. What future gender specific/coded design in a future without gender? 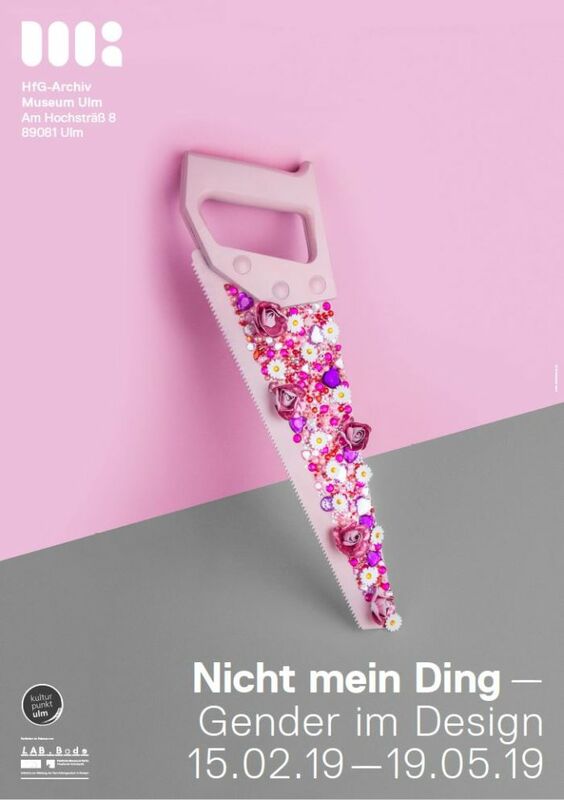 Not my Thing – Gender in Design opens at the HfG-Archiv Ulm, Am Hochsträß 8, 89081 Ulm on Friday February 15th and runs until Sunday May 19th. As oft noted in these dispatches, with their various “Household object” and “Good Design” exhibitions series through 1930s, 40s and 50s, the MoMA New York played a central role in not only establishing what we understand today as American Mid-Century Modernism, but also, through coopeartions with numerous department stores, helping usher in the popular consumption of design, of, if you will, making “design” something consumable. Where that has taken us, isn’t the MoMA’s fault, but it did, effectively, start with them. That the term “Good Design” is not only highly subjective but highly divisive goes without saying; however, with The Value of Good Design the MoMA not only look to tackle understandings of the term in a historical context but also explore current understandings of “good design”, and in doing so, we would hope, will challenges us all to consider our on position on such, ask us to critically view those objects presented by the MoMA as being “good” and pose questions where deemed appropriate. Even a MoMA can err. They are the keepers of the objects, not the keepers of the understandings of the objects. 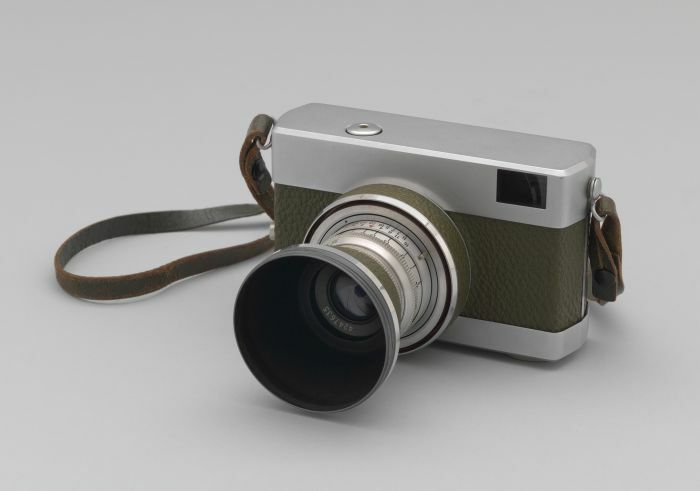 Whereby, and particularly pleasing, the MoMA also promise examples of “good design classics” to test and try; important because, and in contrast to that which Instagram teaches us, “good” isn’t a visual attribute alone. If we’re being honest, which we always try to be, we do sense a guerrilla act on the Vitra Design Museum’s part. Not in a malevolent way, but much more, just as the Kunstgewerbemuseum Dresden clearly timed their exhibition Against Invisibility to highlight that Hellerau existed before Bauhaus, and had a much healthier understanding of gender equality, so we see From Avant-Garde to Industry as a gentle reminder that all that tubular steel furniture everyone’s telling you is Bauhaus, probably isn’t. And thereby a guerrilla action of which we very much approve. 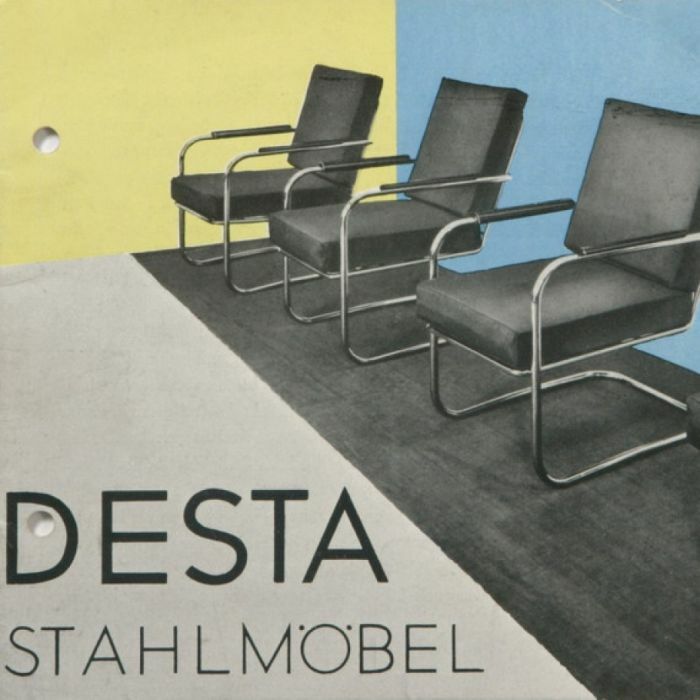 As previously noted, in addition to designing his own steel tube furniture, the Hungarian, we believe entrepreneur is the easiest description, Anton Lorenz was, through his role with first Standard Möbel and subsequently DESTA, co-responsible for the earliest commercial production and distribution of steel tube furniture, including works by the likes of Mart Stam and Marcel Breuer; and perhaps most famous for securing a patent for Stam’s work which allowed him to later claim artistic copyright in Stam’s name over all quadratic cantilever chairs. Including those from Marcel Breuer. Promising a selection of works from the early days of steel tube furniture, by the likes of Stam, Breuer and Mies van der Rohe, supported by documents and objects from the Lorenz archive From Avant-Garde to Industry will, given its location, be of restricted size, but should, also given its location, surrounded as it will be by an eternity of furniture design, be one of the more instructive exhibitions on the history of steel tube furniture as we approach the 100th anniversary of Bauhaus Dessau.